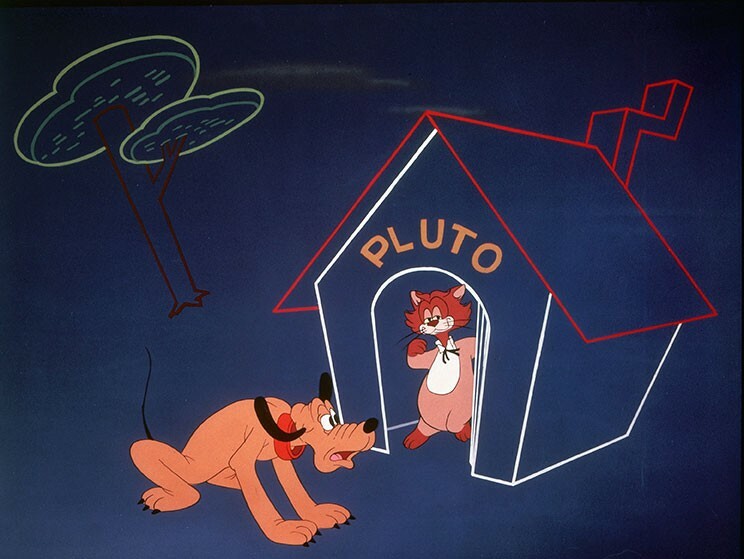 Plutopia (film) Mickey Mouse and Pluto cartoon; released on May 18, 1951. Directed by Charles Nichols. While on vacation at a mountain resort with Mickey, Pluto dreams he is in Utopia with an overly obsequious cat acting as his butler. The butler will perform anything Pluto’s heart desires, when the dog bites his tail. Awakening, Pluto bites the cat’s tail and a furious battle ensues.